Figures of Speech! 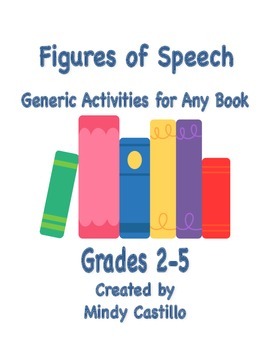 Figures of speech help to take writing to the next level! 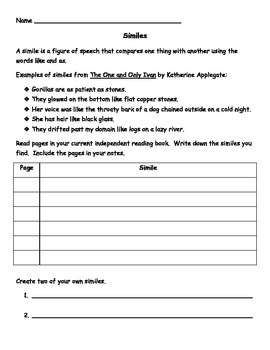 These generic figures of speech activities may be used with any piece of literature, and students may use their own independent reading books to complete the activities. 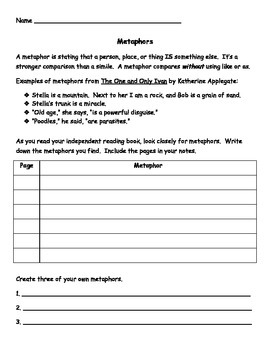 The figures of speech exercises give simile, metaphor, and personification examples from literary novels. In addition, the exercises give students an opportunity to hunt for figures of speech as well as to create their own figures of speech. Figures of speech are great writing TOOLS! Enjoy!